The pianos are labeled as follows: Reference nr. / Year / Opus nr. Reference nr. 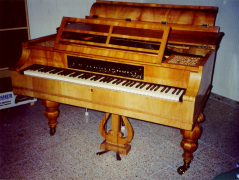 = number used to identify pianos on this website.